In a large cast-iron skillet, heat 1 teaspoon of the grapeseed oil. Add half of the peppers and cook over moderately high heat, turning occasionally, until charred and tender, about 4 minutes. Transfer to a large bowl. Repeat with the remaining oil and peppers. Add the 1 tablespoon of furikake, the lime juice and shoyu to the shishitos and toss to combine; season with flaky sea salt. Transfer to a platter; garnish with more furikake. 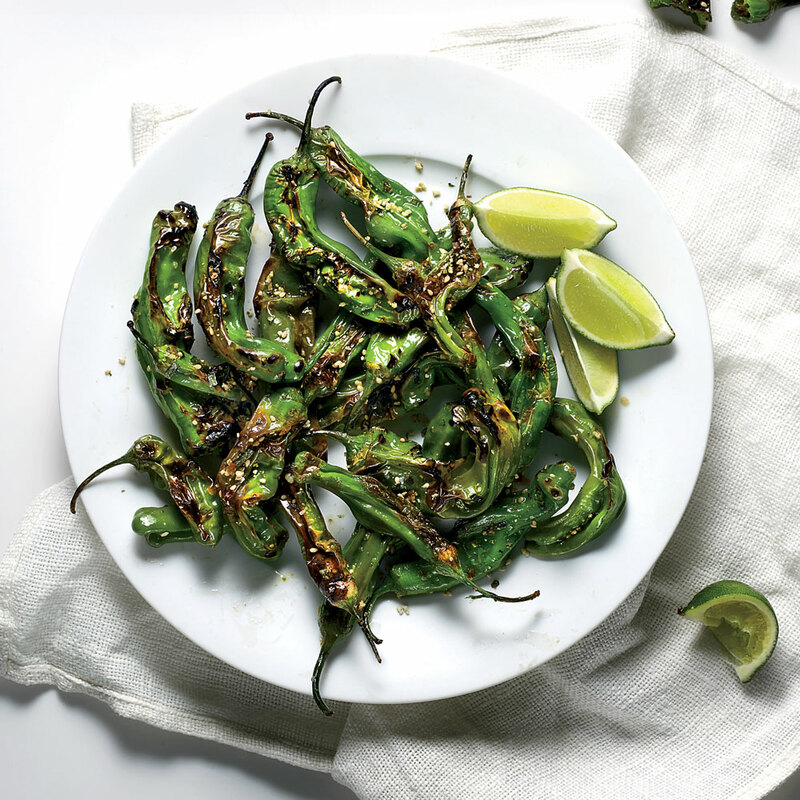 Serve immediately with lime wedges. Furikake is available at Asian markets and many Whole Foods.